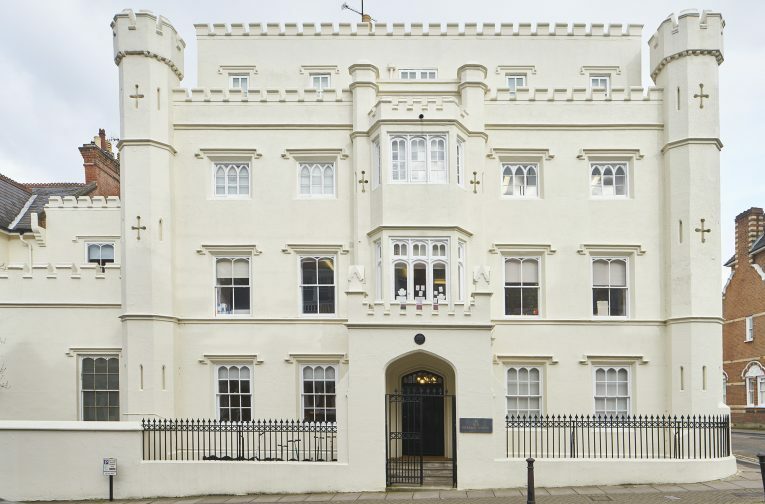 This Grade II* listed school building dating from c.1726 was originally built with red brick, but was altered in appearance in the early 19th century when the exterior was reworked so as to give a fortified appearance. 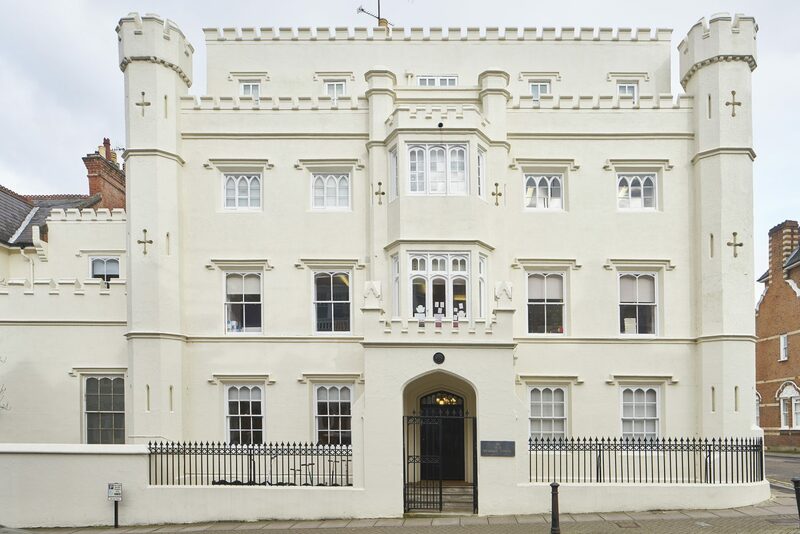 It was stuccoed, likely in a colour matching the original masonry, but it is now cream-coloured, presenting a striking appearance. 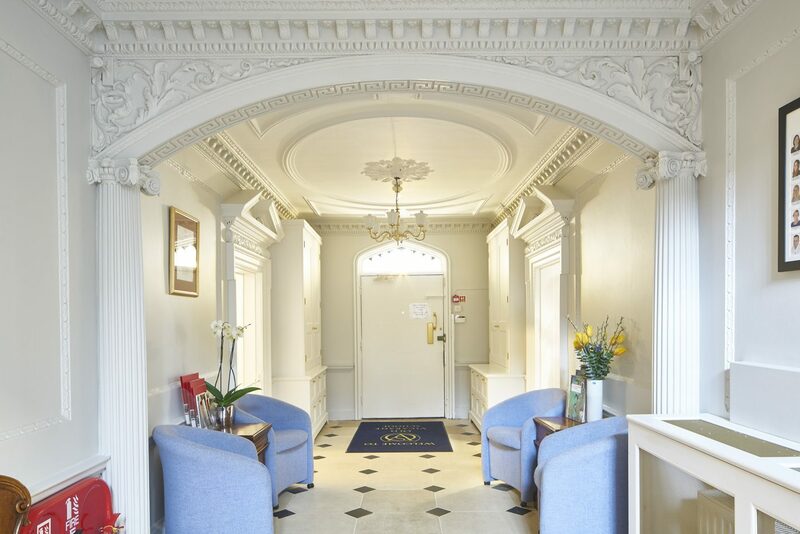 A single-storey Gothik extension was added in the mid-1800s, presumed for family worship, and the stone-flagged entrance hall and fine staircase were remodelled with the addition of high-quality joinery and plaster enrichment. Fragments of these architectural details remain today, including coloured glass and original wall stencilling and papers. Donald Insall Associates led the first phase of an annual programme of repairs and alteration works. 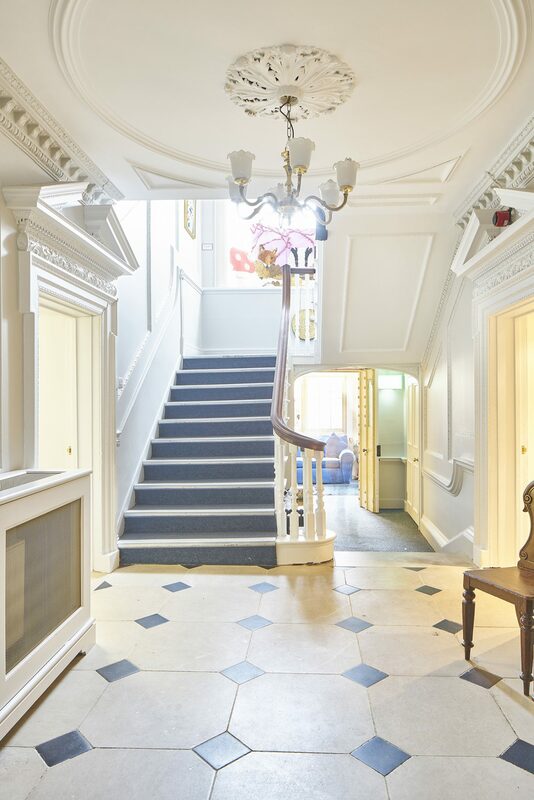 The entrance hall was redecorated and rewired, and the stone-flagged floor repaired. 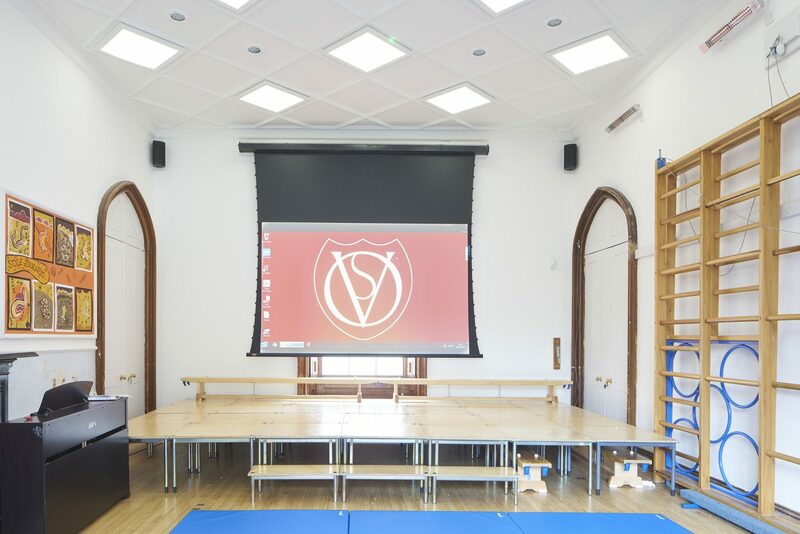 In the school assembly hall in the Gothik extension, the former gymnasium ceiling was replaced with a new plaster ceiling with moulded plaster ribs and a cornice. The ceiling includes new interactive LED panel ceiling lights, an electronic projector and screen, and stage lighting. 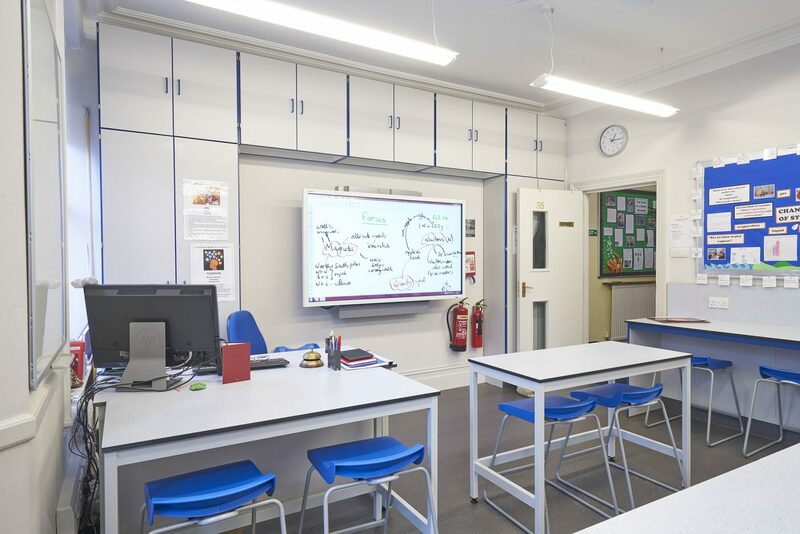 In the terraced house adjoining the hall, into which the school extended, we refitted the science laboratory, providing a high-quality teaching facility.